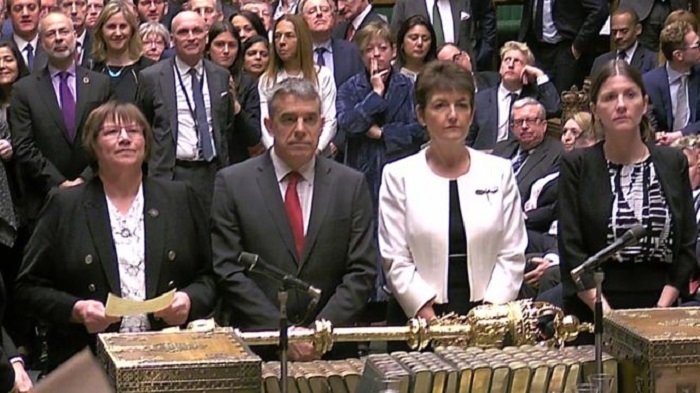 The MPs of the British parliament have voted to take control of Commons business in an unprecedented move to try to find a majority for any Brexit option. He said MPs would want to find a consensus on the way forward, including a possible "confirmatory vote" on the PM's deal by the public - something Theresa May told MPs earlier she did not want because Remain would be on the ballot paper. Theresa May had earlier tried to head off a defeat by offering MPs a series of votes on Brexit alternatives, organised by the government. In the series of so-called indicative votes, MPs will be able to vote on a series of options - likely to include a "softer Brexit" and another referendum - designed to test the will of Parliament to see what, if anything, commands a majority. "So I cannot commit the government to delivering the outcome of any votes held by this House. "But I do commit to engaging constructively with this process."